Lest there be any misunderstanding, we must emphasize at this point that "less sensitive" does not mean "insensitive". If CO2 were a gray gas, then doubling its concentration, as we are poised to do within the century, would be unquestionably lethal. Because CO2 is not in fact a gray gas, the results may be merely catastrophic. … most dissipation estimates were classified as noise and represented in the final data as zeros because we could not justify any other value. The following analogy illustrates the utility of buoyancy as a marker of water masses. Imagine a slightly tilted pile of Dutch pancakes sweetened with Canadian maple syrup. As the maple syrup is poured onto the top pancake, it readily spills over the sides but only slowly penetrates through to the interior. The disparate syrup transport arises because there is enhanced resistance to movement through a pancake but little resistance to movement along a pancake surface. We make use of this pancake analogy to conceptualize the stratification of ocean buoyancy and its influence on the associated transport of matter and heat. … we generalize the term adiabatic to describe a process in which there is no heat or molecular mass transfer, and define a diabatic process as one that is not adiabatic. Garrett points out that a lot of laboratory experiments have been sweet-and-sour rather than spicy. They are singled out here because they are almost our only data sets from under the Antarctic sea ice, and they perhaps represent the future, in which ever more species are used to obtain a truly global observation system2. Perhaps, one day, animals can be bred to grow their own temperature, salinity, and pressure sensors, and GPS transmitters! Whether the existing system is damaging to the animals, and the more general ethical questions concerning animal use, must be discussed elsewhere. In the sea we used floats of parsnip because it is easily visible, and because it is almost completely immersed so as not to catch the wind which, moreover, was slight. The floats were about 2cm in diameter. the true relationship between spectrum and color turns out to be rather useful here. We are used to interpreting small differences from white light (“red” noise) as colors, so if the sea level spectrum was exactly “red” noise, a translation into a light spectrum would render it as a gray scale: low‐amplitude variability would be black, and high‐amplitude white, with grays at intermediate values. While a zipper makes a closure by the functioning of a single accurate mechanism, the same task can be accomplished by the closing of enough of the myriad tiny hooks and eyes that make up a strip of Velcro. Baker (1983) first used this analogy to suggest "the importance of many relatively cheap measurements that cover a broad area as opposed to expensive detailed measurements at a point." As an example, consider the merits of the plentiful satellite measurements of sea surface temperature (SST) compared with highly accurate but exceedingly sparse shipboard SST measurements. 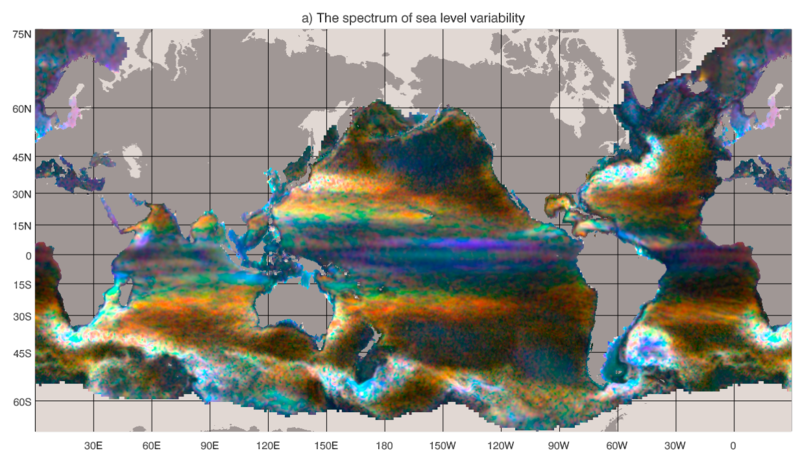 Satellite information on the spatial patterns of SST and the changes of these patterns in space and time have provided a revolutionary new view of the ocean—a view completely unattainable from SST measurements along ship tracks. 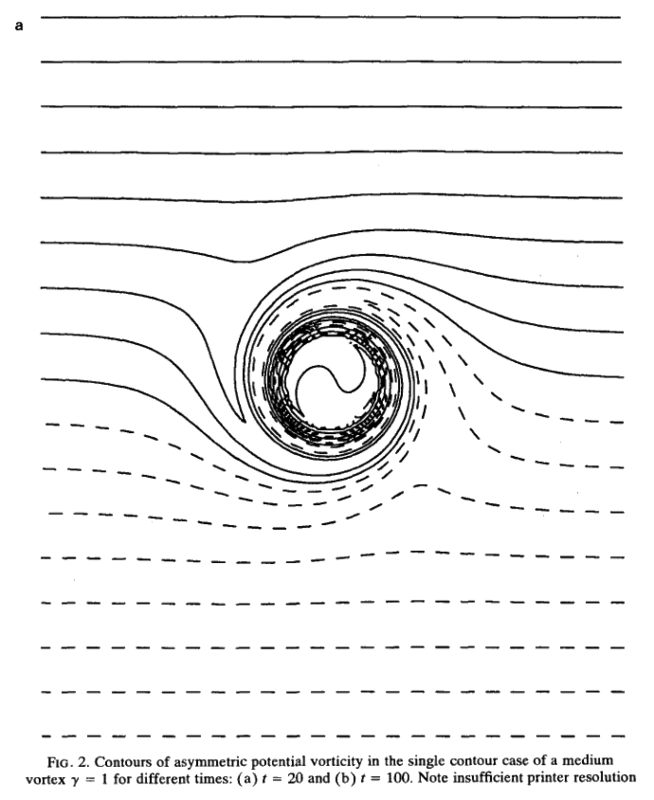 In such "Velcro" techniques, the quantity of measurements allows a description of the spatial patterns associated with the underlying fluid flows, with detail impossible to obtain from sparse sampling. As has been the case with satellite SST, the quantitative accuracy of the remote sensing algorithm is determined and improved by comparison with "ground-truth" data from accurate but sparsely distributed sensors. The above analogy is of direct relevance to present state-of-the-art measurement of ocean turbulence, a field in which the accurate "zippers" are microscale profilers. While such profilers have become somewhat more common during the last decade, they remain relatively rare; are expensive to maintain and run; and in operation are often restricted by adverse conditions of weather, surface waves, or oceanic velocity shears. That turbulent mixing processes in the ocean are extremely important in determining the oceanic general circulation, and are major limiting factors in the ability to calculate future climate states, is a cliche in oceanography and climate dynamics. Unlike some other hackneyed statements, this one does retain much of its validity. We have gone from the situation described in Wunsch & Ferrari (2004) of being unable to account for the dissipation of geostrophic turbulence to the opposite case—there are now too many candidates. We are in effect bragging about the results of a high-resolution yet wide-angle (10°) telescope in the sense of an astronomer looking at the sky. We have only used the new telescope four times in one portion of the ocean. V Canuto and M Dubovikov were included as coauthors during the review process, because they contributed to resolving some inconsistencies in the original expressions for the eddy-induced streamfunction and the residual fluxes. The obliquity modulation of tidal mixing by a few percent and the associated modulation in the meridional overturning circulation (MOC) may play a role comparable to the obliquity modulation of the incoming solar radiation (insolation), a cornerstone of the Milanković theory of ice ages. This speculation involves even more than the usual number of uncertainties found in climate speculations. A factor of 2 sometimes finds itself, rather arbitrarily, in the denominator. A second and, in my opinion, more persuasive argument for our studies is that, in sensitive systems, a small quantitative error may lead to large qualitative errors1. Most floats sampled at regular pressure levels, though the Canadian Argo floats often sampled at irregular pressures and required substantial editing. Sutyrin1994 note insufficient printer resolution in their Figure 2. A frequently asked question related to this work is “Which mixing processes matter most for climate?”. As with many alluringly comprehensive sounding questions, the answer is “it depends”. At the same time, the epiphanies, new ideas and novel observations that fundamentally drive the field forward frequently come not from big science, but from a cornucopia of much smaller exploratory efforts and the continued small-scale development of innovative observing technology and numerical techniques. We must not lose the ability to be surprised. The resulting shape is schematic and cartoonlike but is still recognizable as an elephant. Although the use of the Fourier coordinate expansion is not new, our approach clearly demonstrates its usefulness in reducing the number of parameters needed to describe a two-dimensional contour. 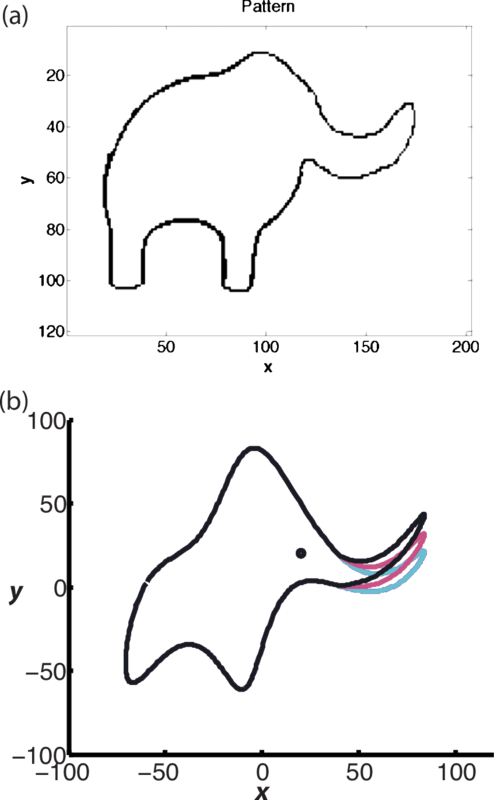 In the special case of fitting an elephant, it is even possible to lower it to four complex parameters and therein implement a well-known saying. With five, they give the elephant an eye and make it's trunk wiggle! As it turns out, the observations provide a clue to the problem. [Pierrehumbert2010] Pierrehumbert, Principles of Planetary Climate, Cambridge University Press (2010). [Gregg2012] Gregg, Alford, Kontoyiannis, Zervakis & Winkel, Mixing over the Steep Side of the Cycladic Plateau in the Aegean Sea, J. Mar. Syst., 89(1), 30-47 (2012). doi. [Pollard1972] Pollard, Rhines & Thompson, The Deepening of the Wind-Mixed Layer, Geophys. Fluid Dyn., 4(1), 381-404 (1972). doi. [Hovmoller1949] Hovmöller, The Trough-and-Ridge Diagram, Tellus, 1(2), 62-66 (1949). doi. [Groeskamp2019] Groeskamp, Griffies, Iudicone, Marsh, Nurser & Zika, The Water Mass Transformation Framework for Ocean Physics and Biogeochemistry, Annu. Rev. Mar. Sci., 11(1), 271-305 (2019). doi. [Colosi2016] Colosi, The Enigma of the Ocean Internal Wave Spectrum: Can Acoustics Help Solve the Enigma?, J. Acoust. Soc. Am., 140(4), 2976-2976 (2016). doi. [Winters1994] Winters & D’Asaro, Three-Dimensional Wave Instability near a Critical Level, J. Fluid Mech., 272(-1), 255 (1994). doi. [Wunsch2009] Wunsch, Heimbach, Ponte & Fukumori, The Global General Circulation of the Ocean Estimated by the ECCO-Consortium, Oceanography, 22(2), 88-103 (2009). doi. [Richardson1948] Richardson & Stommel, Note on Eddy Diffusion in the Sea, J. Meteorol., 5(5), 238-240 (1948). doi. [Hughes2010] Hughes & Williams, The Color of Sea Level: Importance of Spatial Variations in Spectral Shape for Assessing the Significance of Trends, J. Geophys. Res., 115(C10), (2010). doi. [Gargett1999] Gargett, Velcro Measurement of Turbulence Kinetic Energy Dissipation Rate ε, J. Atmospheric Ocean. Technol., 16(12), 1973-1993 (1999). doi. [Ferrari2009] Ferrari & Wunsch, Ocean Circulation Kinetic Energy: Reservoirs, Sources, and Sinks, Annu. Rev. Fluid Mech., 41(1), 253-282 (2009). doi. [Armi1983] Armi & Stommel, Four Views of a Portion of the North Atlantic Subtropical Gyre, J. Phys. Oceanogr., 13(5), 828-857 (1983). doi. [Ferrari2008] Ferrari, McWilliams, Canuto & Dubovikov, Parameterization of Eddy Fluxes near Oceanic Boundaries, J. Clim., 21(12), 2770-2789 (2008). doi. 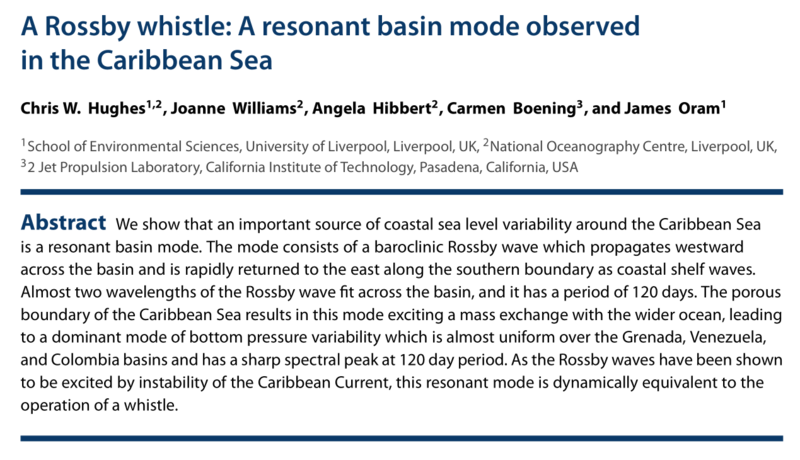 [Hughes2016] Hughes, Williams, Hibbert, Boening & Oram, A Rossby Whistle: A Resonant Basin Mode Observed in the Caribbean Sea, Geophys. Res. Lett., 43(13), 7036-7043 (2016). doi. [Munk2007] Munk & Bills, Tides and the Climate: Some Speculations, J. Phys. Oceanogr., 37(2), 135-147 (2007). doi. 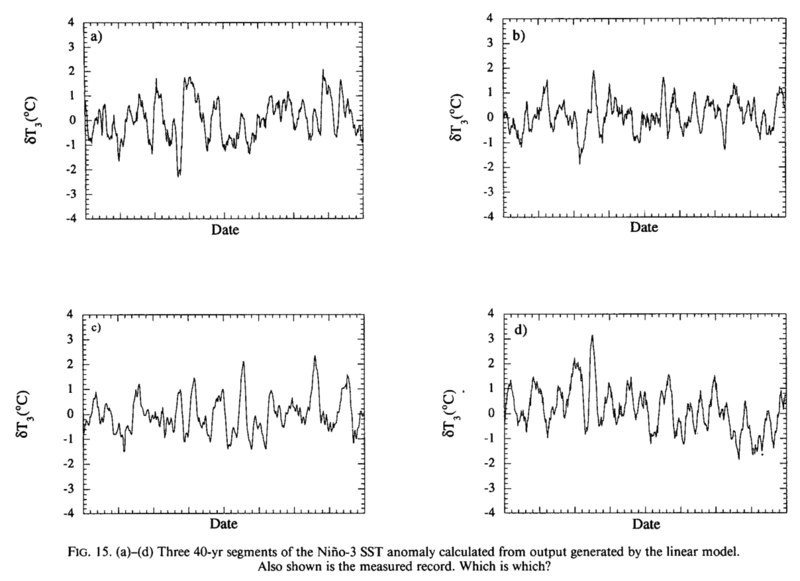 [Polzin2014] Polzin, Naveira Garabato, Huussen, Sloyan & Waterman, Finescale Parameterizations of Turbulent Dissipation, J. Geophys. Res. Oceans, 119(2), 1383-1419 (2014). doi. [Leibovich2018] Leibovich & Warhaft, John Leask Lumley: Whither Turbulence?, Annu. Rev. Fluid Mech., 50(1), 1-23 (2018). doi. 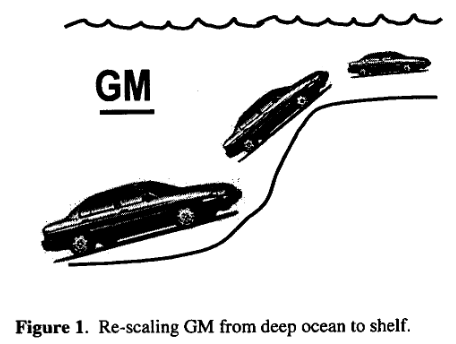 [Penland1995] Penland & Sardeshmukh, The Optimal Growth of Tropical Sea Surface Temperature Anomalies, J. Clim., 8(8), 1999-2024 (1995). doi. [Vallis1993] Vallis & Maltrud, Generation of Mean Flows and Jets on a Beta Plane and over Topography, J. Phys. Oceanogr., 23(7), 1346-1362 (1993). doi. [Flierl1978] Flierl, Models of Vertical Structure and the Calibration of Two-Layer Models, Dyn. Atmospheres Oceans, 2(4), 341-381 (1978). doi. [Holte2009] Holte & Talley, A New Algorithm for Finding Mixed Layer Depths with Applications to Argo Data and Subantarctic Mode Water Formation*, J. Atmospheric Ocean. Technol., 26(9), 1920-1939 (2009). doi. [Sutyrin1994] Sutyrin & Flierl, Intense Vortex Motion on the Beta Plane: Development of the Beta Gyres, J. Atmospheric Sci., 51(5), 773-790 (1994). doi. [MacKinnon2017] MacKinnon, Zhao, Whalen, Waterhouse, Trossman, Sun, Laurent, Simmons, Polzin, Pinkel, Pickering, Norton, Nash, Musgrave, Merchant, Melet, Mater, Legg, Large, Kunze, Klymak, Jochum, Jayne, Hallberg, Griffies, Diggs, Danabasoglu, Chassignet, Buijsman, Bryan, Briegleb, Barna, Arbic, Ansong & Alford, Climate Process Team on Internal Wave-Driven Ocean Mixing, Bull. Am. Meteorol. Soc., 98(11), 2429-2454 (2017). doi. [Wunsch2016] Wunsch, Global Ocean Integrals and Means, with Trend Implications, Annu. Rev. Mar. Sci., 8(1), 1-33 (2016). doi. [Dyson2004] Dyson, A Meeting with Enrico Fermi, Nature, 427(6972), 297-297 (2004). doi. 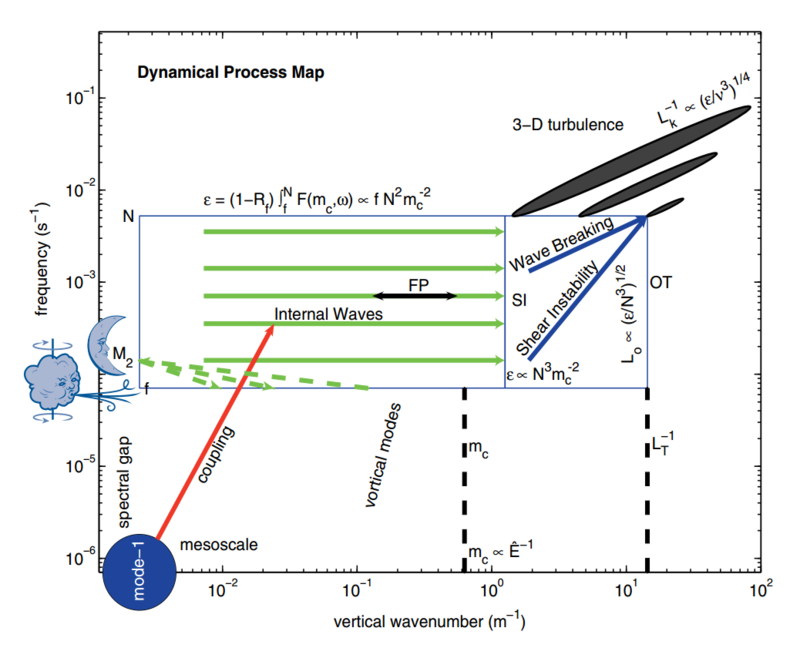 [Mayer2010] Mayer, Khairy & Howard, Drawing an Elephant with Four Complex Parameters, Am. J. Phys., 78(6), 648 (2010). doi. [Lindzen1988] Lindzen & Hou, Hadley Circulations for Zonally Averaged Heating Centered off the Equator, J. Atmospheric Sci., 45(17), 2416-2427 (1988). doi.